The Bay Area's Humphry Slocombe partnered with the producers of the beloved Emmy winning Queer Eye to serve up a new unique flavor just in time for the Season 3 premiere on March 15th. Pastry chef and co-founder Jake Godby says, "Like the flavor itself, working with Queer Eye was an unexpected pleasure that seemed to come out of nowhere. The process was definitely collaborative (they know what they're doing) and the resulting flavor is a true representation of both our brands." And what is the new flavor? 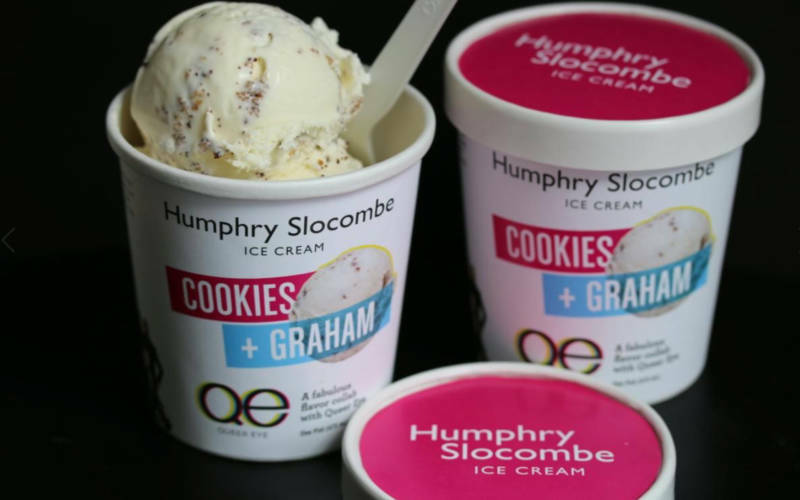 Called Cookies + Graham, this ice cream collaboration features chocolate cookies and graham cracker in olive oil ice cream, and this "unexpected combination of flavors takes something ordinary and transforms it into something new that surprises and delights with every bite." Surprising and delightful? Sounds like just the right combo for our Fab Five favs. This ice cream collaboration is now available in all Humphry Slocombe scoop shops for the whole month of March, so grab a pint and cozy up on the couch while watching the Fab Five change some lives for the better (and making the audience cry as a result). Want to get out of the house for a special treat? Head to a Humphry Slocombe location (listed below) to try the Queer Eye Smores Sundae: 1 scoop of Cookies + Graham topped with hot fudge and torched marshmallow fluff. Pints will be launching for nationwide delivery via Goldbelly in April, and in May, you can find these pints in retail stores, starting with Safeway. Mission district: 2790A Harrison St.